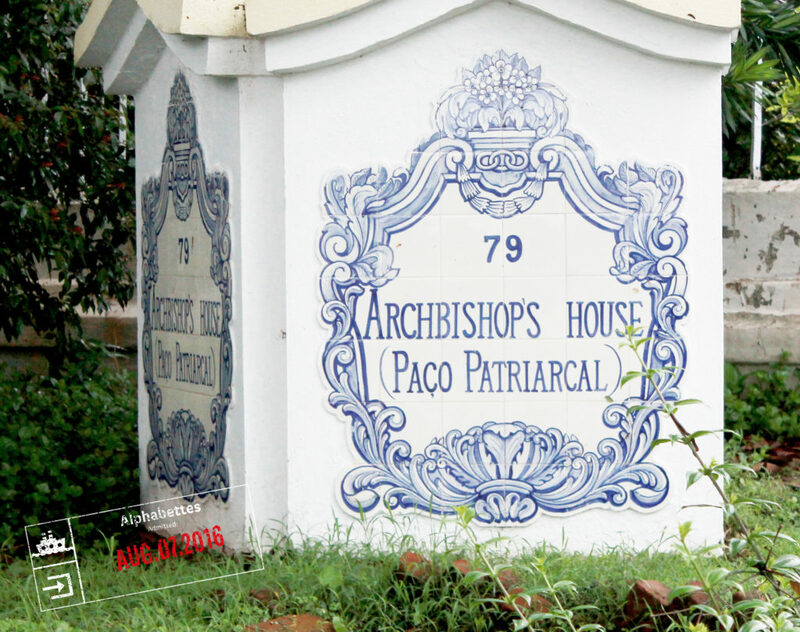 In his book The Age of Kali: Indian Travels and Encounters, William Dalrymple described Fontainhas as “… a small chunk of Portugal washed up on the shores of the Indian Ocean…,” and the decorative tile plaques that adorn the outside of many homes, including the Archbishop’s Palace, are a testament to Goa’s Portuguese heritage. 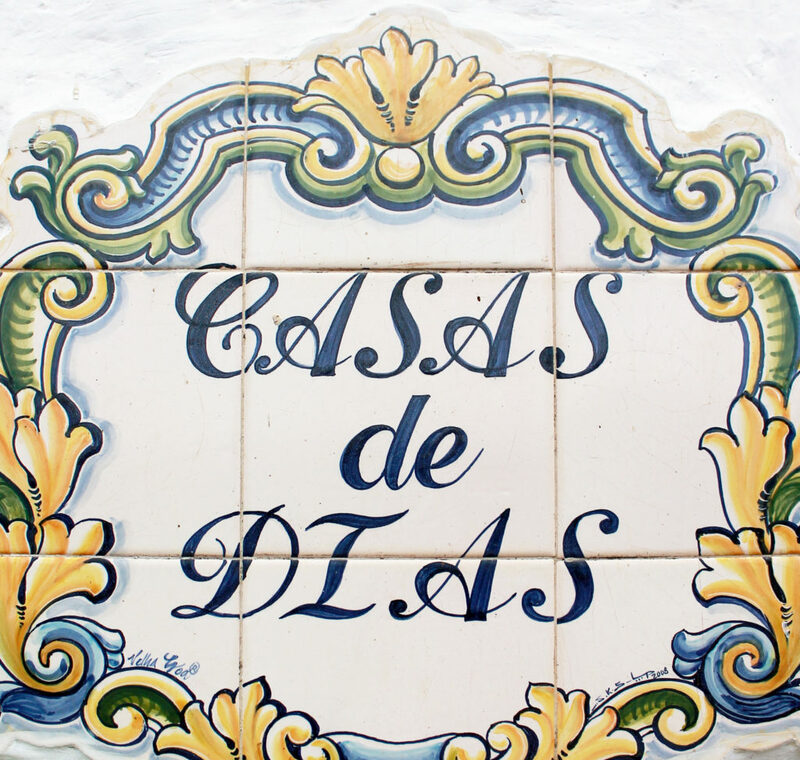 Even though the style of lettering and ornamentation on most shop signs is far removed from the decorative plaques outside homes, the colours blue, green, and yellow survive. Together they make up a colour palette that I feel suits Goa very well. 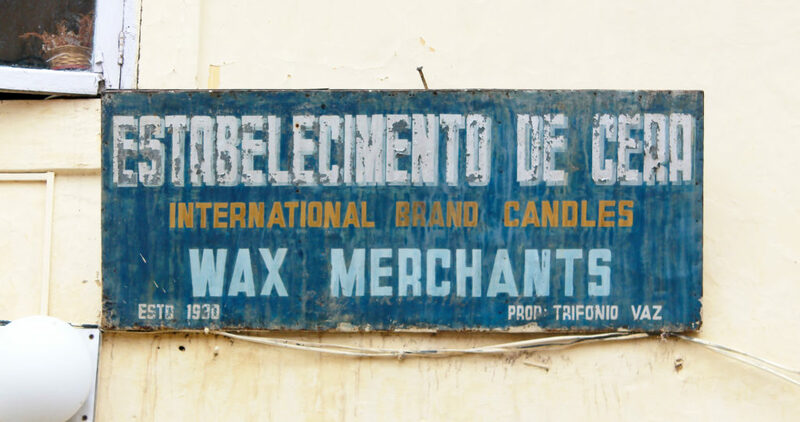 Perhaps the most remarkable thing about these signs in Goa is also the most obvious one: it is a small corner of India where it is entirely unsurprising find signs in Portuguese!